Collaborating and group discussion are more important than ever for your business. Being able to coordinate the efforts of your company, institution, or other business is crucial for bringing employees and clients together in a meaningful way. It’s critical that you impress your constituents in a welcoming, user-friendly environment. 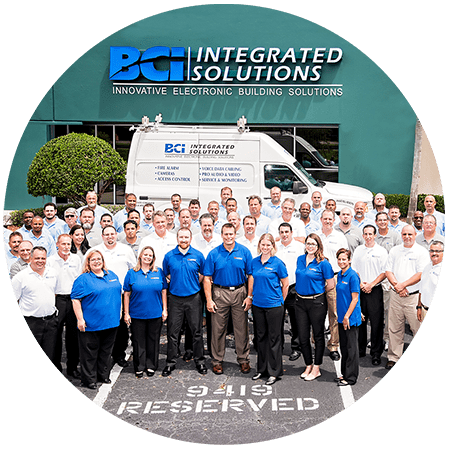 At BCI Integrated Solutions, we want to help you create that environment. Our technicians will work with you to customize the system you need for the space it must fit in. Whether you need an executive boardroom, huddle rooms for individual teams, or a place to show off to your clients, there’s a solution for you. Video, teleconferencing, integration of Skype for Business, and much more. Why Use BCI to Install Your Conference Room Technology? We are headquartered in Tampa, with offices in Orlando and Fort Myers. We can provide systems to you no matter your location in Florida, across the southeastern United States, or anywhere in the country. BCI can furnish you with the best resources available to let you control your boardroom, conference room, or other collaboration environment. We can provide you with a custom design that fits your specific needs, such as crystal clear audiovisual display, phone conferencing, environmental controls, voice recording and playback, projecting, and any other technology specifications you may have. Some of the most commonly requested integrated solutions include digital signal processing, a complete operational system to perfect control over their conference room technology, and ongoing training and service to address new developments in conferencing technology. Our employees have the experience you need to get the job done quickly, cleanly, and at a competitive price. We use top-of-the-line products to make all this possible. What Products Do We Use For Our Conference Room Solutions? Evoko Room Manager panels to display scheduling and room information. We can build a custom solution to your specifications, or augment our designs onto an existing solution. Reach out to us today for a comprehensive needs-based analysis of your collaboration room.